We make learning fun for kids by providing an interactive and engaging curriculum. We focus on developing the whol e child with lots of one-on-one attention and loving care. Keeping your child safe is our top priority, and our staff will ensure your child is always safe with us. 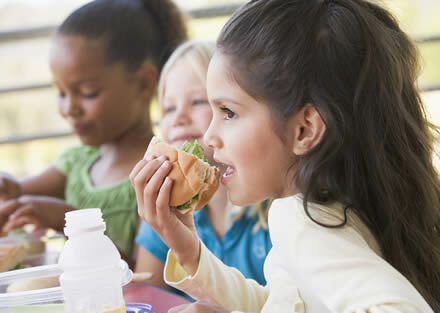 We provide a healthy lunch and two snacks each day to help kids grow strong and healthy. 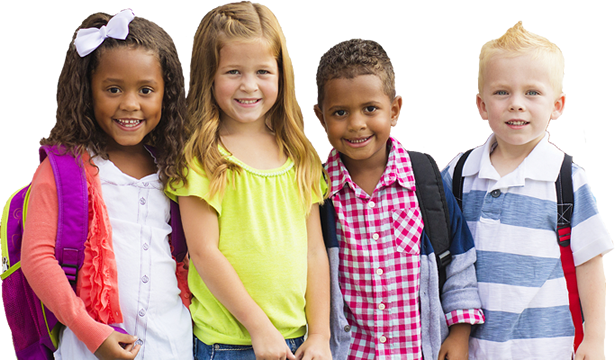 We have an experienced, dedicated team that will help your child learn and grow in a safe and welcoming environment. 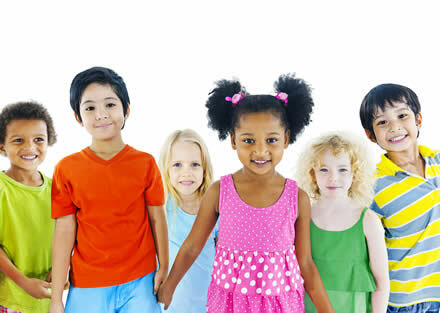 Choosing the right day care in Humble, TX for your precious child is an important decision. Little Academy of Humble makes that decision easier. Parents feel at ease dropping off their children at Little Academy of Humble because they know their children will spend their days in a safe, nurturing, and enriching environment. Little Academy of Humble uses the STEAM educational approach to learning that incorporates science, technology, engineering, arts, and mathematics. With this approach, teachers are better able to guide students to think critically and become better problem solvers and collaborators. With quality child care and excellent early childhood education, children develop strong learning skills that will help them progress throughout life. A strong emphasis is placed on individuality. Teachers work to understand each child’s unique strengths and abilities and to provide learning opportunities that help each child achieve their highest potential. Diversity is valued, and all children are made to feel welcome. Children develop best when their social, emotional, and intellectual abilities are nurtured and developed in a balanced way. Teachers and staff at Little Academy of Humble use a vast array of resources and tools to provide that balance for each child in their care. With classes from baby day care to toddlers, pre-K, and kindergarten prep, children thrive in an environment that promotes their well-being and learning. A part time program is available if you don’t need child care every day. After school and summer camp programs for kindergartners to 5th grade are also available. Interested in enrolling your child at Little Academy of Humble? We use the STEAM educational approach to learning by using Science, Technology, Engineering, Arts, and Mathematics as access points to guide each student's critical thinking and inquiry. Through this effective learning method, we help produce students who are great problem solvers and collaborators and that take thoughtful risks as they engage in experiential learning. In the end, we help produce great leaders, educators, innovators, and learners for the 21st century. If you are looking for the best educational preschool in Humble, please contact us today to learn more! Little Academy of Humble is much more than just a basic daycare. Our goal is to help kids discover a passion for learning. That's why our teachers and staff organize so many fun educational activities for our students. Our activities are the perfect mix of fun and education and are designed to inspire and develop the young minds of our students. 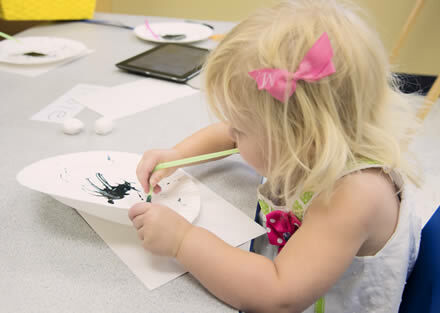 We want our students to look forward to coming to preschool each day, and our fun and engaging educational activities help to accomplish just that. Research has shown that a child's social skills greatly impact his or her overall academic achievement, and a great deal of academic learning actually takes place through social interactions. This is why being able to communicate easily and effectively with others is essential for your child's academic development. At our daycare / preschool, we focus on helping our students develop strong friendships and bonds that will foster the social skills needed to truly excel both academically and in life. Your child's time at Little Academy of Humble will be filled with many wondrous moments. It will be a time of great physical, social, emotional, and intellectual development. While the skills a child learns at this early age may seem simple, they will lay the foundation for a lifetime of learning. What may seem like fun and games to adults can actually involve a tremendous amount of brain work and development for a young child. At our daycare / preschool, we focus on the complete development of the children at our school to give them all the developmental skills they need to succeed.